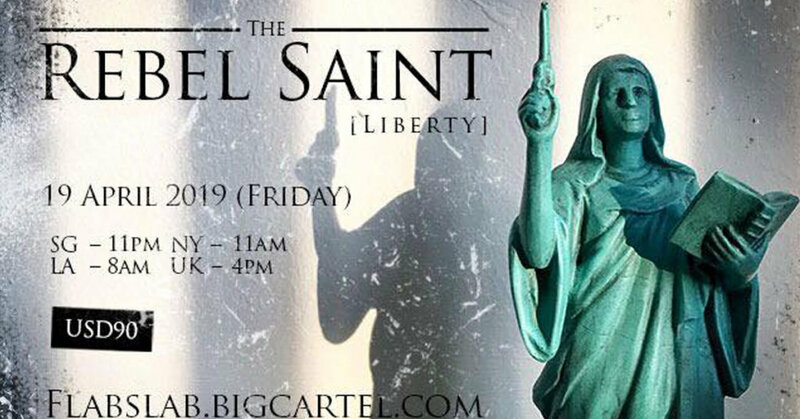 Forget the Utah Saints, this weekend will you counting down to Good Friday… as FLABSLAB set to release The Rebel Saint [Liberty] by in collaboration with Rebels and Thinkers Inc based upon the Faeryville Statue (8ft, resin-polymarble) by filmmaker Tzang Merwyn Tong and Sculptor Chua Boon Kee now you can have one in your collection. FLABSLAB X TZ proudly presents: “REBEL SAINT” Iconic Symbol and Protector of Rebels and Thinkers. .
Official US Trailer | FAERYVILLE – Out Now on VOD from Tzang Merwyn Tong on Vimeo. Friday, April 19th 2019, 11 PM Singapore time. 6.8 inch Resin Sculpture, Collectors Item from FLABSLAB.